ï»¿ Overkill? There is no such thing. Thread: Overkill? There is no such thing. 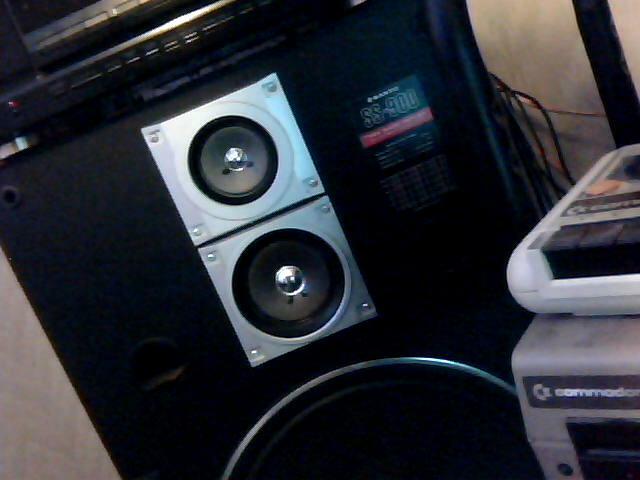 hehehe, sometime during my break from UT99 I did a massive upgrade to my sound system which snow-balled off of me finding some speakers at a yard sale that I knew would voice match another pair that I planned to restore. The end result was, well... The weakest speakers in my setup have twelves on them and I'm currently trying to figure out how to solve an issue they have with shaking my desk so that my mouse cursor doesn't jump all over the place... keep in mind I do NOT have a subwoofer hooked up, needless to say these things kick pretty hard. Last edited by Lee_Stricklin; 08-03-2012 at 05:56 AM. Only if it has the extended memory cartidge and the Cassette storage system. 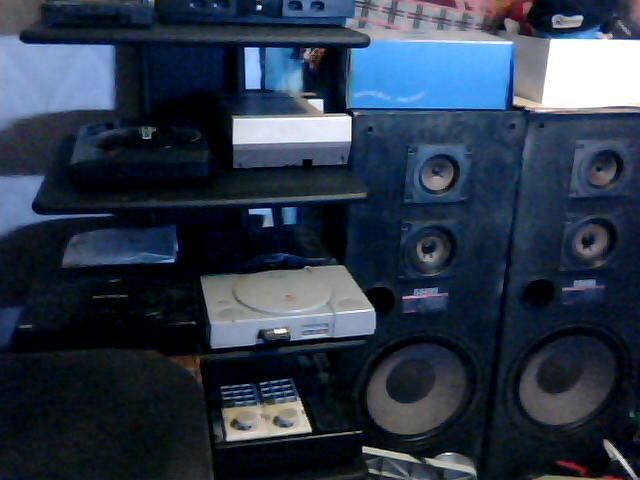 As you can see I have a small collection of consoles, a pair of beat up Sanyo SS 695s (gonna have to redo quite a bit on these), and tons of other clutter I need to finish cleaning up to the immediate right of where I'm currently sitting. 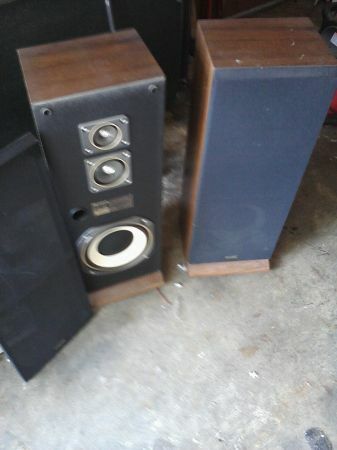 Also just for the hell of it I found a pic of what my center speakers look like. I currently have my desk pressing these against the wall with the cabinets to the immediate sides of my monitor.